I spy a sale! 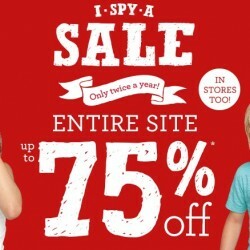 Only twice a year, GYMBOREE USA has started their mid-year sales! Enjoy up to 75% off entire site. Shorts and skirts from US$10.99, Dresses from US$12.99 and accessories from US$2.99! The Gymboree Corporation is a specialty retailer operating stores selling high-quality apparel and accessories for children under the Gymboree Group. 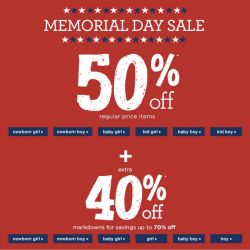 And it is now taking up 50% OFF regular price items with additional 40% Off markdowns for savings up to 70% off. Prices starts from around 4.99 US dollars. Mom and Dad's good choice. Online and for 24 hours only! 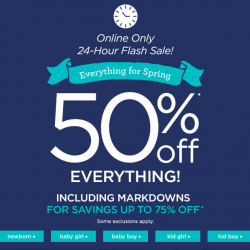 Gymboree USA now offers a 50% off store-wide. Plus, discount applicable including markdowns for saving up to 75% off! Third party shipping (e.g. : Vpost) to Singapore needed. 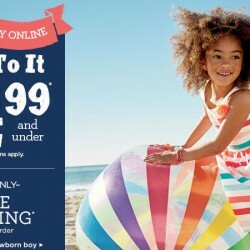 Gymboree USA official website offers 30% OFF entire store, the discount is applied automatically at checkout. 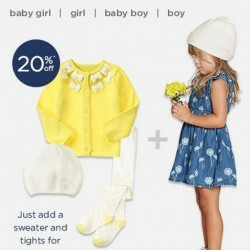 'Cozy Up on Chilly Days'-Gymboree.com is offering online exclusive sale for baby clothing. 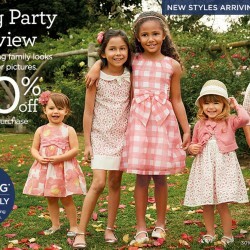 Shop Gymboree for children's clothing that will last and have your child looking their best. Gymboree USA now offers a 20% off entire purchase coupon code till 4 Jan. 2015, 4pm. Third party shipping (e.g. : Vpost) to Singapore needed. 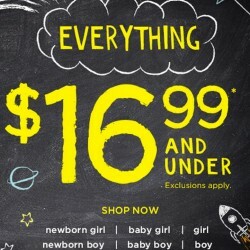 GYMBOREE USA is offering everything US$16.66 and under storewide (exclusions applied) vPost needed for shipping to Singapore. 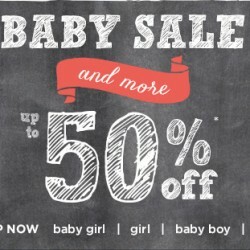 Check out GYMBOREE's Baby sale and more at 50% off. PLUS, they provide international shipping to Singapore! Although vPost is more preferred in terms of cost, international shipping provided by Gymboree indeed save some trouble for parents that are not familiar with vPost. All sort of clothes for Kids, from as low as few US dollars. 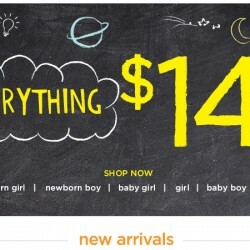 Gymboree USA is having a everything $14.99 and under promotion! The price is much cheaper than what you can get from Singapore, PLUS, they provide international shipping to Singapore! Although vPost is more preferred in terms of cost, international shipping provided by Gymboree indeed save some trouble for parents that are not familiar with vPost.